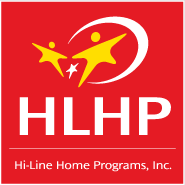 Hi-Line Home Programs, Inc. has made a commitment to provide supports and services for children and families since 1976. During the years our corporation has been in existence we have developed and expanded our program to offer a variety of family centered, home based services. Each of these areas fulfill a need for a specific area of our population while keeping our primary mission and focus on serving children and families in their natural environments. We have been a vital part of Montana communities for a number of years. We were founded to serve a growing segment of our community in need of inaccessible services. We have continued to grow with the help of our donors and volunteers that make our mission possible. Through all these years our purpose still remains the same: bring services to those in need.